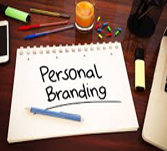 Personal Branding is a method that people exercise to promote themselves (self-promotion) and their professions as brands. In other words it is the foundation that lays an image or opinion of an individual or any organization in other’s mind. This tutorial is separated into different chapters that introduces the concept of personal branding and recommends how to practice personal branding. This tutorial is planned initially for professionals who are checking for new venture or a change in job and the students who are fresher’s in graduation and are on the way to opt for the right career. Besides that, any reader who is very much eager can make use of this tutorial to enhance his/her knowledge about personal branding. There is no prerequisite for this tutorial, but a quiet and cool-headed state of mind is necessary to analyse the concept of personal branding.